Juice Tea Bottle Plastic Resin 333: 333 bottle level polyester chip is specially developed for beverage bottles of tea, juice and other medium to be filled in hot for sterilization. This product has features of low heavy metal content, low aldehydes content, favorable color value, stable viscosity and favorable processability. Because of the unique process formula and production technique, when thermally treated for shaping by SIPA, SIDEL, ASB and other mainstream bottle making machines at common working conditions, this model of product has a high inducting orientation rate, stable crystallinity and easily adjustable wall thickness distribution, the whole bottle stress release-residue rate is low, the thermal shrink in bottle making is stable, the final product acceptance is high, and the demand for hot filling at 90⁰C to protect the beverage from color change, oxidation and bottle deformation in the quality assurance period. 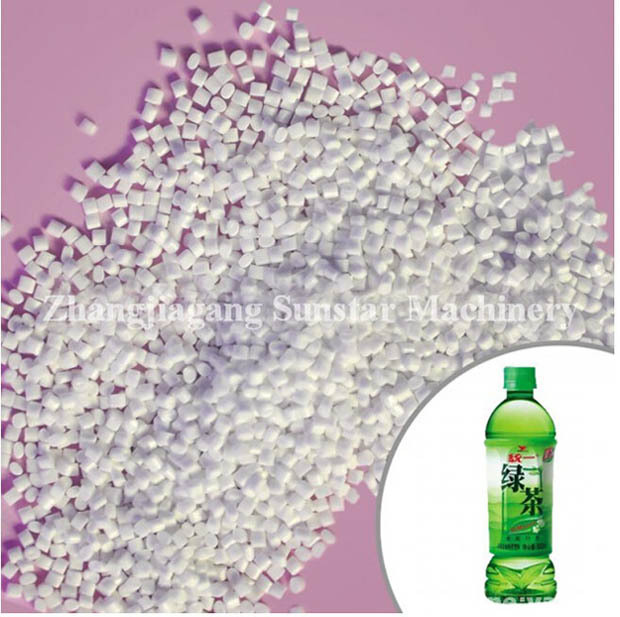 It has a high inducting orientation rate, stable crystallinity and easily adjustable wall thickness distribution, the whole bottle stress release-residue rate is low, and the thermal shrink in bottle making is stable. Beverage bottles for tea, juice and other medium to be filled in hot for sterilization.